Will capping teaching degrees improve quality? According to reports, the proportion of students with an ATAR of 70 or lower being admitted to teaching degrees has increased significantly over the past decade, from 30% in 2007 to 40% in 2016. Plibersek said Labor wants teaching to be “a first choice, not a fall-back”. “At the moment, the marks to get into teaching degrees continue to fall, and fewer high achievers are choosing teaching courses. That is a tragedy and the beginning of a dangerous spiral,” Plibersek told The Educator. Labor said it will also give the nation’s top achievers cash bonuses of up to $40,000 to encourage them into teaching. “We obviously need to ensure there are pathways into teaching for those who might have struggled with their schooling … but are academically capable of teaching our children,” she said. However, Andrew Pierpoint, president of the Australian Secondary Principals Association (ASPA), said there is no point in having an academically gifted person in front of a class if there is no connection and engagement with the students. “Simply being brilliant does not make you a good teacher,” Pierpoint told The Educator. Pierpoint said teachers need to able to communicate, be empathetic, have high resilience and have “a burning desire” to help students succeed. “OP/ATAR scores are not good indicators of teaching ability – students who have reasonably low performance at school themselves have gone on to be brilliant teachers, as they connect with students who have learned and progressed,” he said. 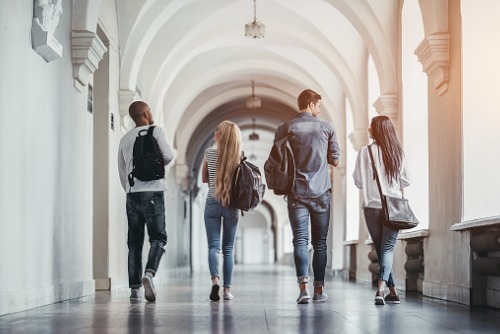 Anne-Marie Morgan, professor and associate dean of teaching and learning at the University of New England says setting an appropriate ATAR benchmark is prudent, while also ensuring there are other entry pathways that uphold a commitment to equity of access. “We all want quality teachers – not least universities. We don’t willy-nilly allow anyone in,” Morgan told The Educator. “Better conditions and higher pay would be more useful incentives than additional entry requirements,” she said.